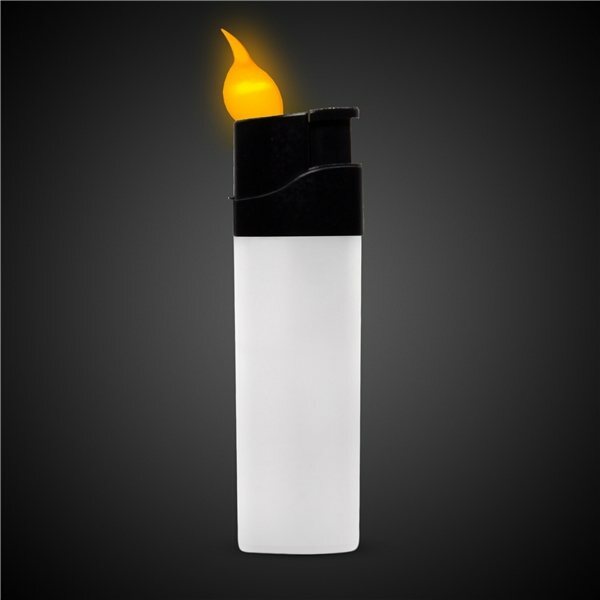 This flame-less novelty lighter is great for young audiences or indoor environments! Instead of a flame, it features an LED light in the shape of a flame. Get ready to go back in time! Our classic LED Concert Flashlight Lighter will take you back to the days of the rock ballad and huge arena rock concerts! You'll be able to hold your lighter up in the air during your favorite slow song with this LED lighter. This fun concert lighter produces no heat and no flame, just light! It even flickers just like a real lighter. Our retro inspired Concert Lighter makes an excellent promotional product for concerts and so much more.